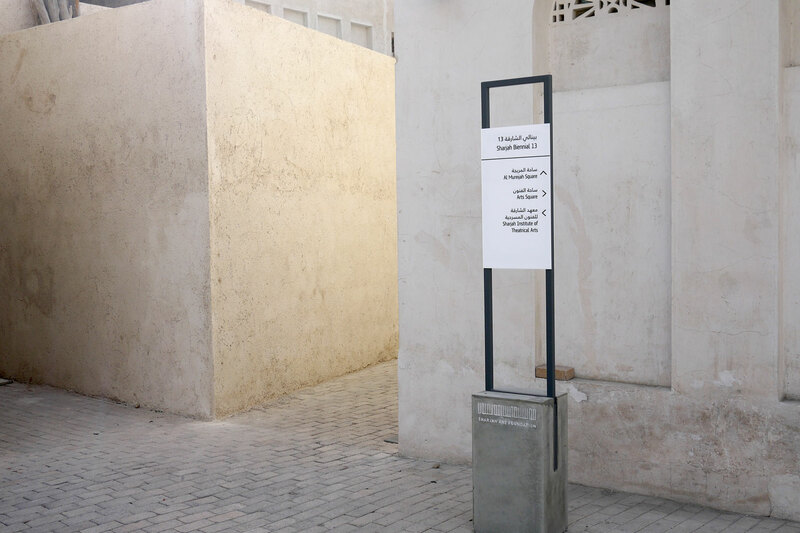 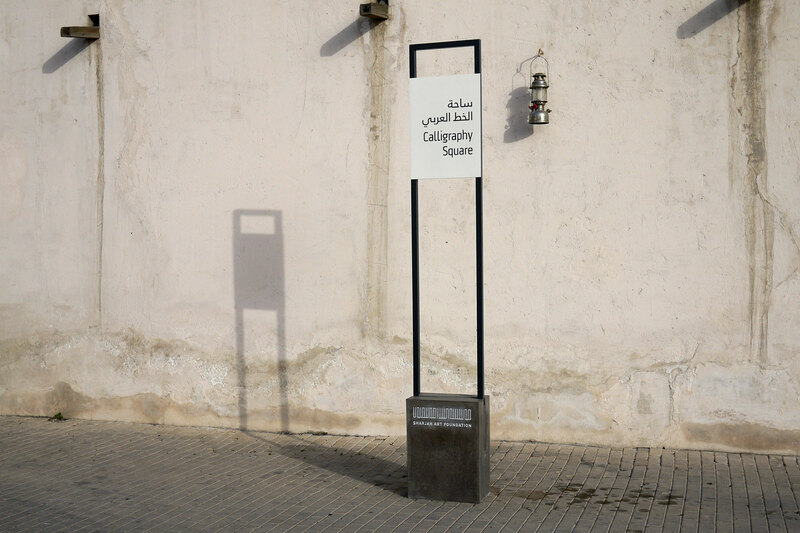 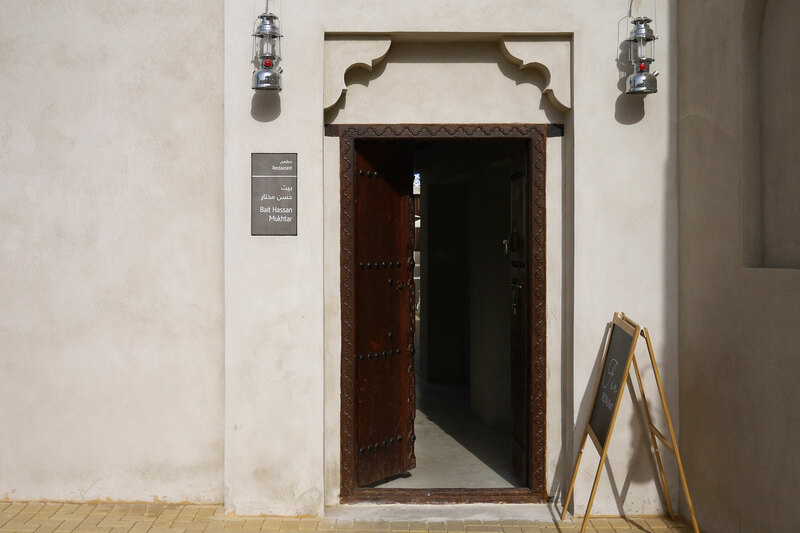 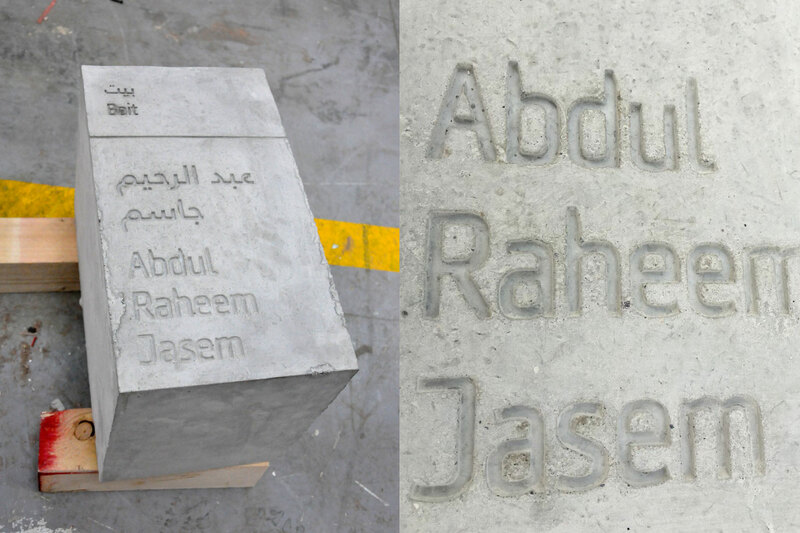 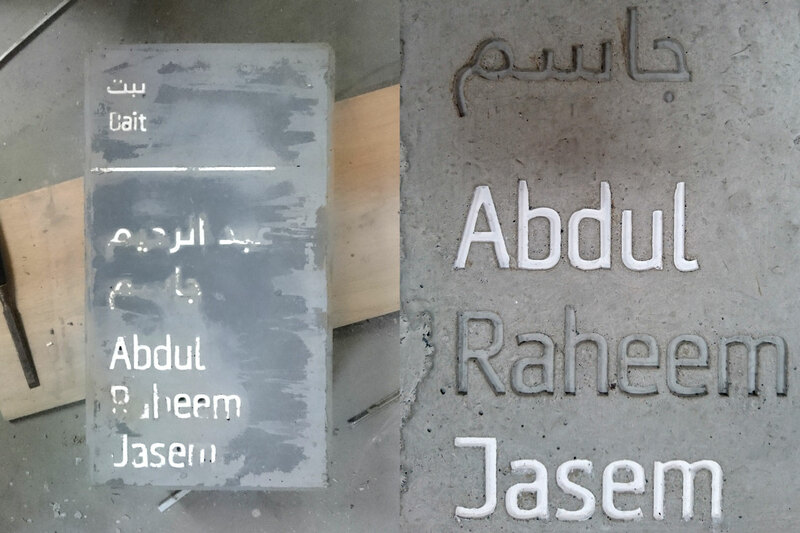 A delicate and raw wayfinding system at the heart of historical Sharjah. 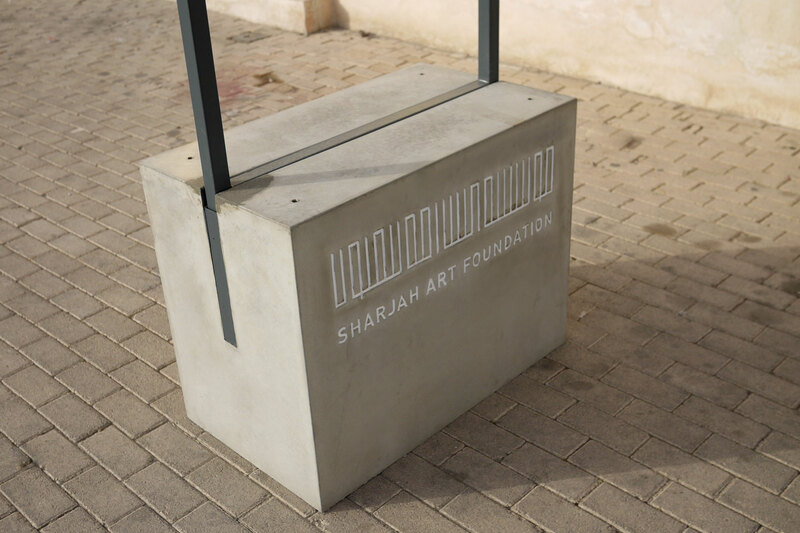 Sharjah Art Foundation brings a broad range of contemporary art and cultural programmes to the communities of Sharjah, the UAE and the region. 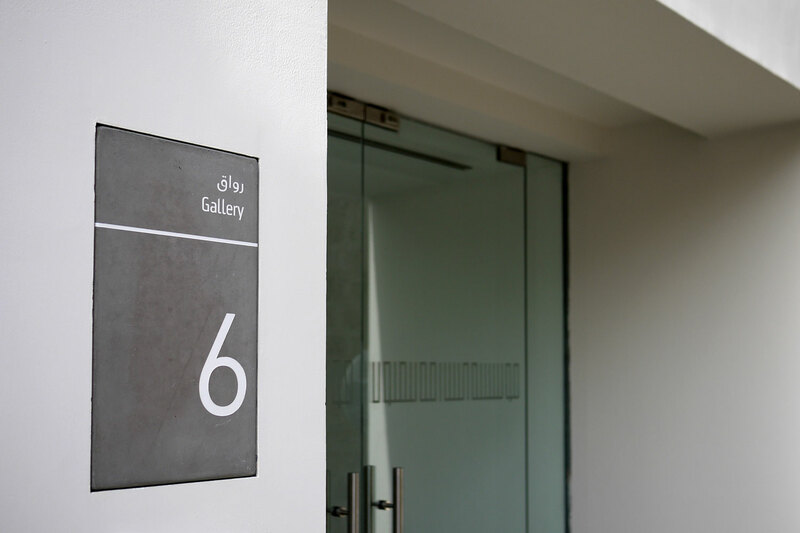 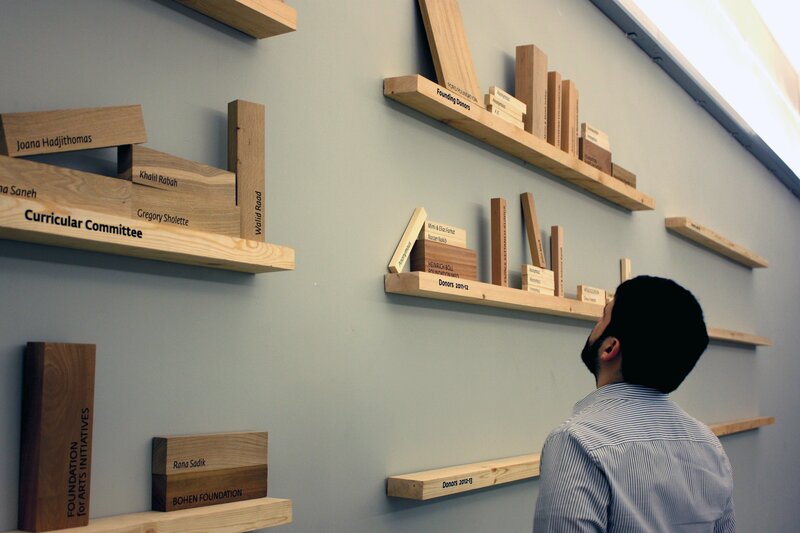 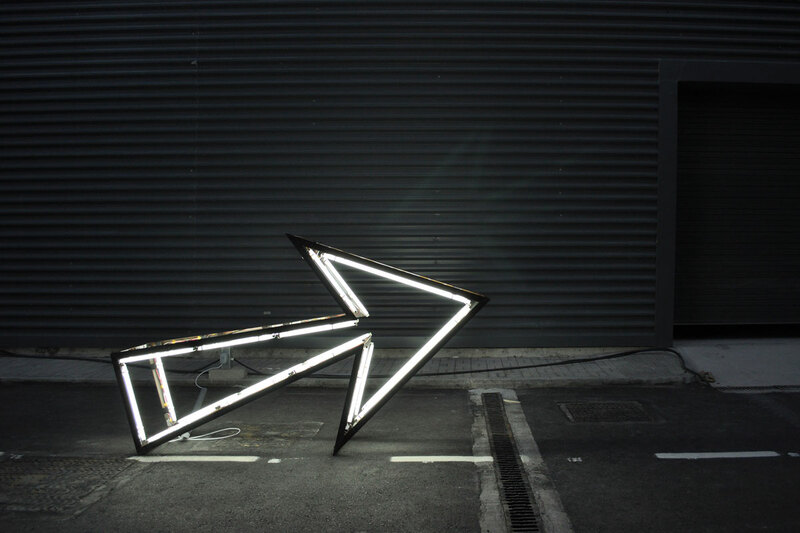 PenguinCube was commissioned to develop a wayfinding and signage masterplan for its permanent buildings, temporary events, and future expansion. 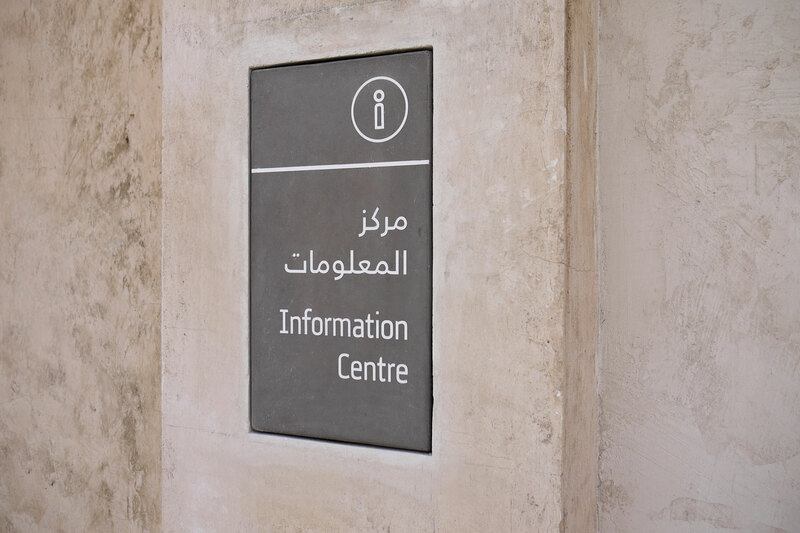 Permanent signage is embedded into both heritage and contemporary buildings. 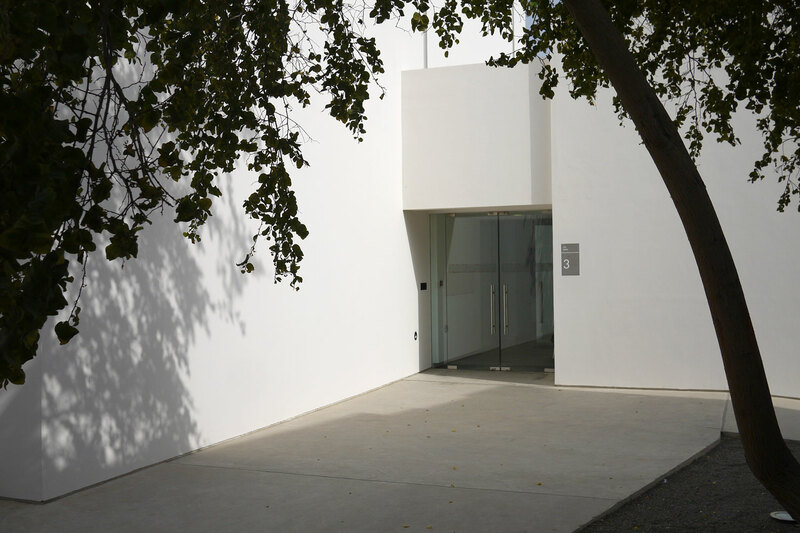 The result is a minimal, raw, and refined modular concrete system that is integrated within the city’s heritage and existing houses. 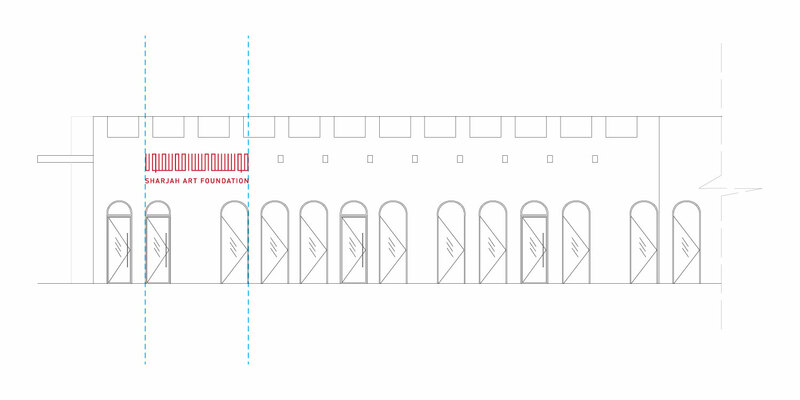 Modular movable elements are integrated in the environment when needed. 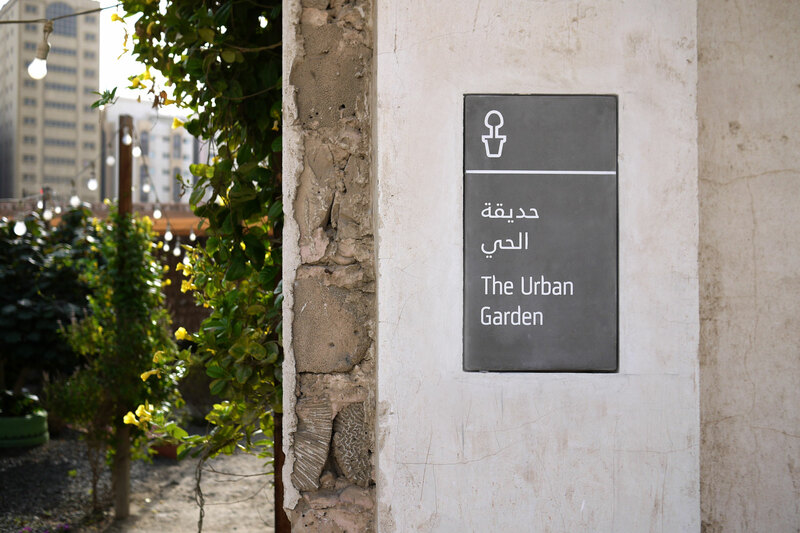 A pictogram family was created to compliment the simplicity of the elements. 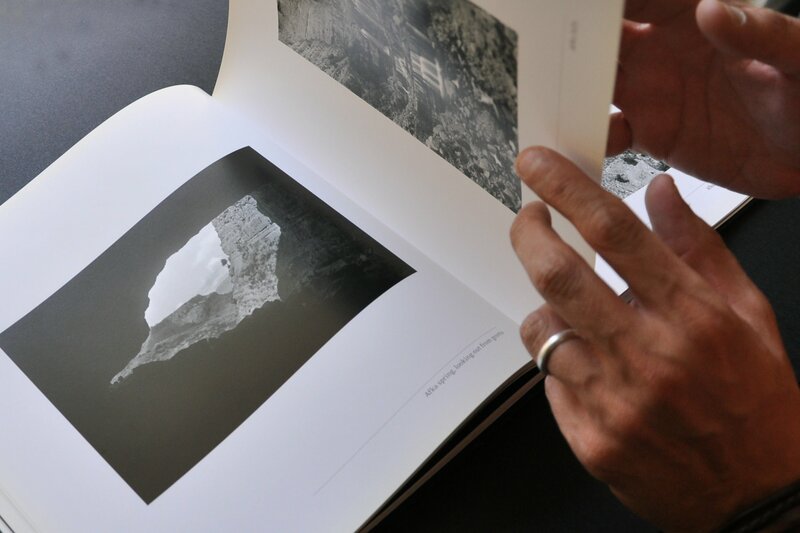 We went through several trials to get the perfect result.